Can Emma Stone Fill Cruella de Vil's Dog-Skin Coat? Disney has already made a fortune off reinventing animated villains like Maleficent in live-action. And now, the latest of these films may have found its star. Emma Stone is in talks to play Cruella de Vil in a live-action 101 Dalmatians prequel called Cruella. Written by Kelly Marcel (50 Shades of Grey, Saving Mr. Banks) Cruella is described as an origin story for the character whom we see in 101 Dalmatians as a well-to-do woman who wants to kill the dogs to create some cutting-edge fashion. You have to assume this movie will make her more sympathetic, and maybe show what she has against dogs in the first place. 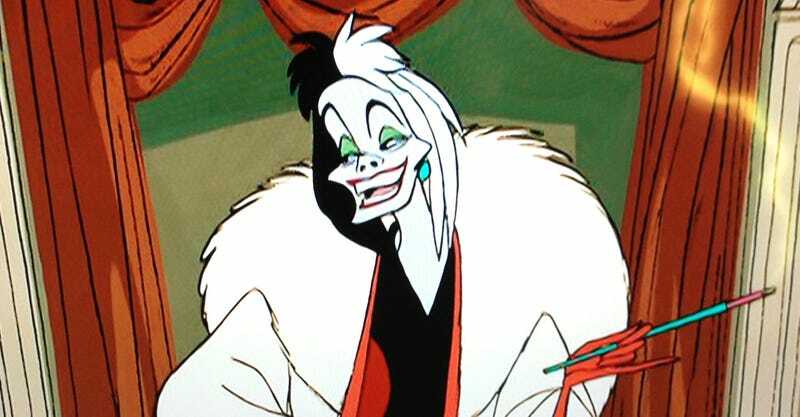 Though there isn’t a director yet attached to Cruella, Disney reportedly wants to get it filming by the end of the year. Having Stone on board should help that. De Vil was previously brought to live-action when Glenn Close played the character in a 1996 remake of the original film.